With technology advancing so rapidly consumers are buying up electronics at a speed never before seen. While improvements in technology may make life more convenient for consumers it also results in U.S. Consumers disposing of 400 million electronics each year. For residents of Manhattan and of all of NYC this means recycling those unwanted or unneeded cell phones, telephones, and computers. However, since not all electronics recycling stations takes all types or even brands of electronics, trying to find a place to dispose of those electronics can often be a confusing, frustrating, and time consuming endeavor. Throwing certain electronics in your curbside trash can result in expensive fines and even more headaches leaving many individuals thinking that there has to be a better way of disposing of those electronics. 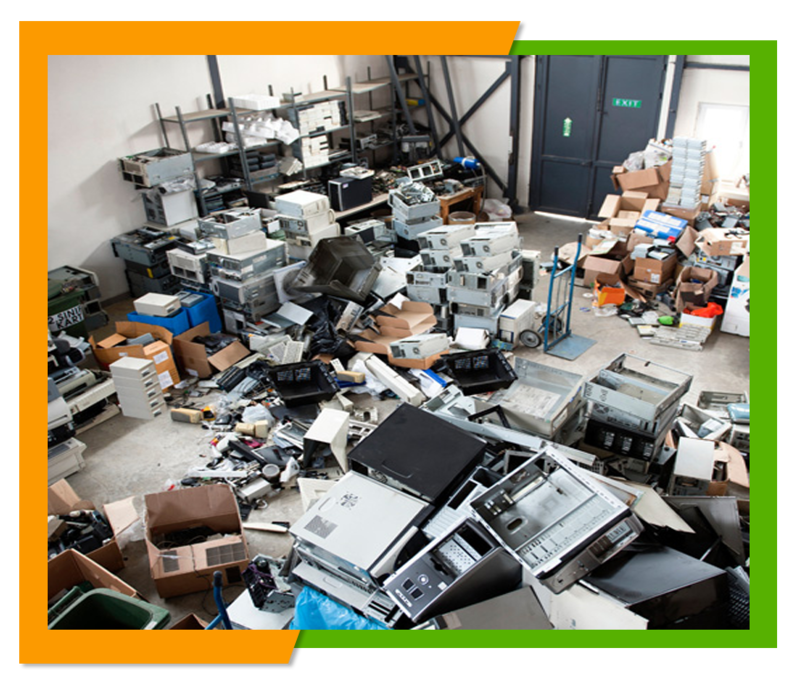 With our electronics recycling services here at Flat Rate Junk Removal disposing of those unwanted electronics is simple and easy. All you have to do is give us a call and we will come to your location and pick up those other computers, computer parts and other recyclable electronics for you. Just set up a time that is convenient for you and when we arrive just point out the electronics you no longer want and we will load them up and take them to be recycled for you saving you from the frustration and fines that result from incorrectly disposing of the electronics. Recycling certain electronics is important because it protects the health and environment of the people of NYC. Some electronics consist of toxic substances such as lead, mercury, and cadmium that can leach into the air, water, and soil damaging the environment and posing a risk to people's health. In addition, many electronics contain precious metals such as gold that needs to be recycled and reused to reduce the amount of mining, which can also disturb and destroy the environment. Recycling also diverts thousands of pounds of waste from landfills cutting down on the amount of waste disposed of each year. 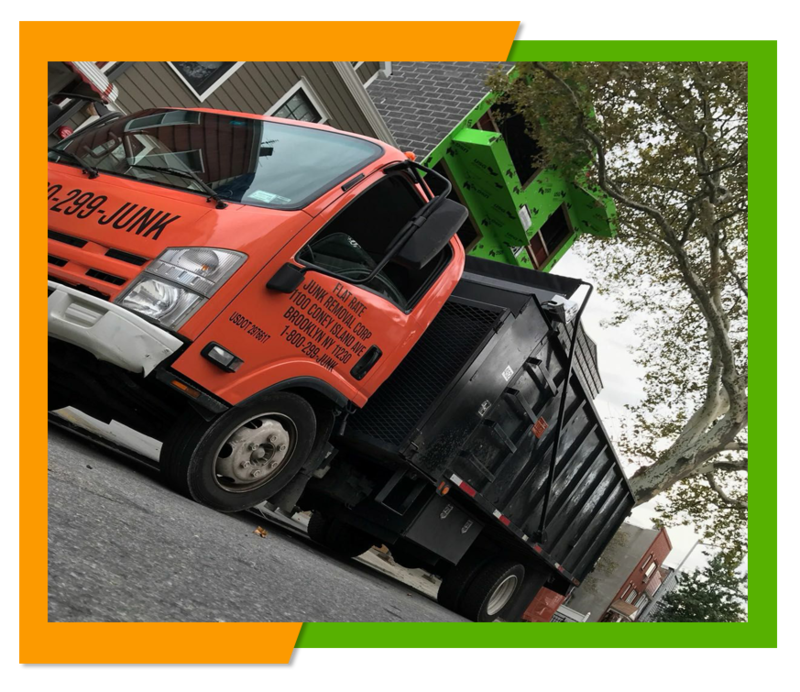 Unlike some junk companies that charge an additional fee for items that need to be recycled here at Flat Rate Junk Removal we charge a flat rate regardless what items you need to have removed. We don't charge extra for recyclable items and you will always know upfront what the cost of any junk removal will be. We realize that you may not want to call us to pick up a single television or other single item since that would not be cost effective for you. However, if you have other items you want to have disposed of we do take mixed loads so you can dispose of those electronics along with other waste items you want to get rid of. If you would like a free estimate or would like to schedule an appointment for electronics pick up give us a call at 1-800-299-5865 and we will be happy to be of assistance to you.